The amount of distress we experience before coming into therapy so often knocks our confidence. It can even feel like it’s destroyed our confidence and we need help to even find the pieces, let alone put them back together. One of the things that strikes me time and again is the amount of resilience that I see in my clients. One of the joys of therapy is seeing clients develop skills and confidence, and challenging fears and worries at their pace. Often, we struggle to see our own strengths, or even how far we’ve come. When anxiety is a main difficulty, it activates our fight/flight response. This can make us hyperaware of all possible threats. It also highlights the vulnerabilities we feel we have. It does this to try to protect us, by predicting possible threats so we can avoid them. But this can become overactive and life-limiting. As it hyperfocuses on threat and vulnerability, it can make us blind to the skills and capabilities we have that can help us to face our fears. Having depression is like wearing black-tinted glasses – it darkens our view of the world and ourselves. It can make it very difficult to see hope for change, or to even recognise the skills and competencies we have. It also makes it more difficult to see how we can develop ourselves when development is needed. It’s a very common feeling that when we have had some improvements, and then experience higher levels of anxiety or depression, that we’ve gone ‘back to square one’. Yet once we’ve learned more about our difficulties and skills we can use to challenge these, nothing can take this knowledge away. Square one is a place where we’re distressed and struggling to make sense of what’s happening – once we learn more, we cannot go back to that place. Lapses and relapses aren’t signs of lacking resilience, but opportunities to learn. In our work at the centre, we focus on helping clients to learn from setbacks to see what they can put into place should the difficulties arise again. 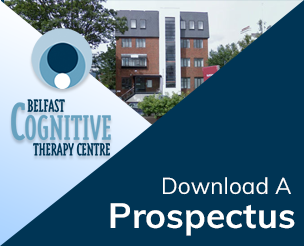 © 2017 Belfast Cognitive Therapy Centre Ltd.